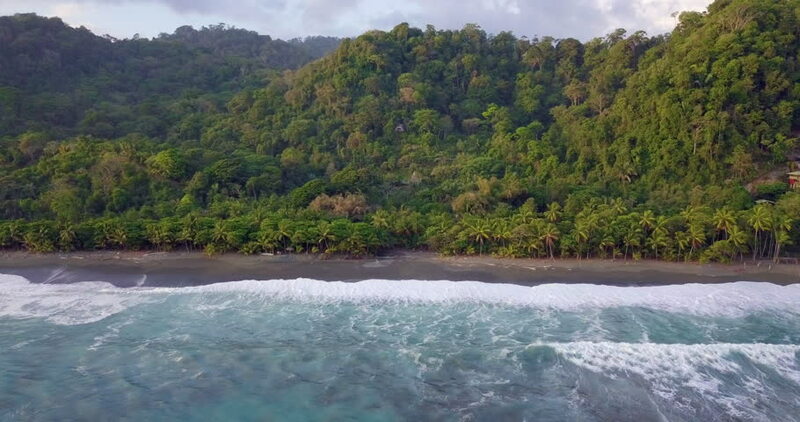 A beautiful cinematic aerial shot of the ocean, flying toward a large jungle ecolodge resort in the rainforest in Puntarenas Province Carate, Costa Rica. hd00:20River edge feeding the waterfall at Canela in Southern Brazil. 4k00:20aerial seascape sand beach with turquoise water. Seascape, ocean and beautiful beach. Java Indonesia Travel concept.